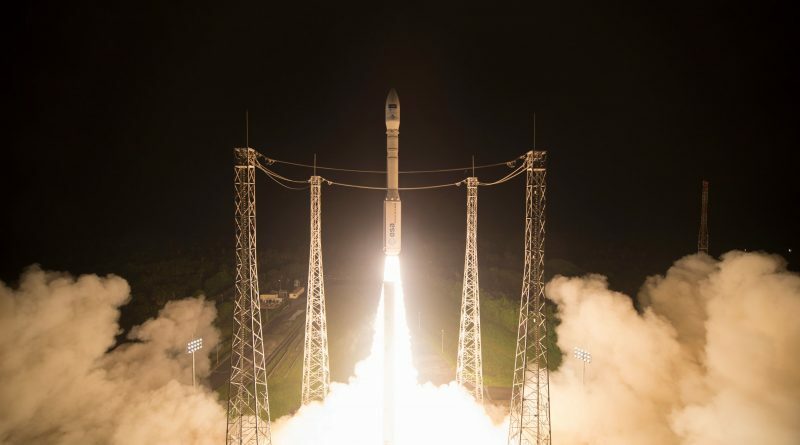 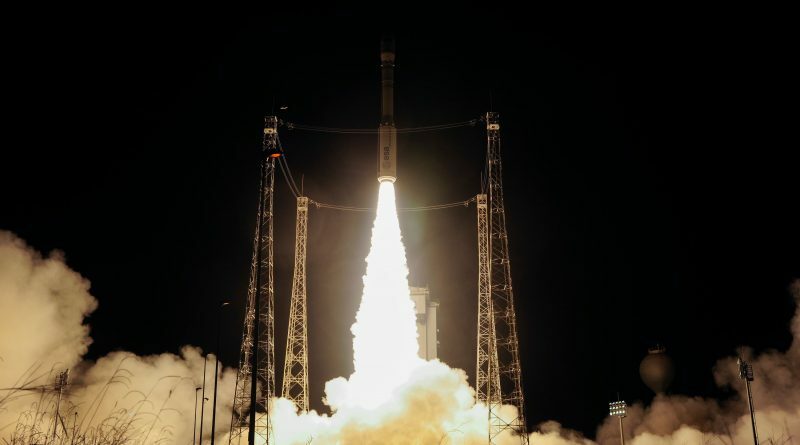 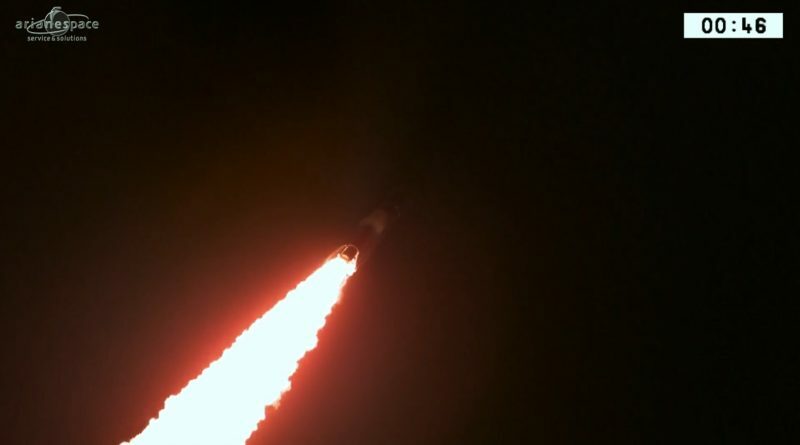 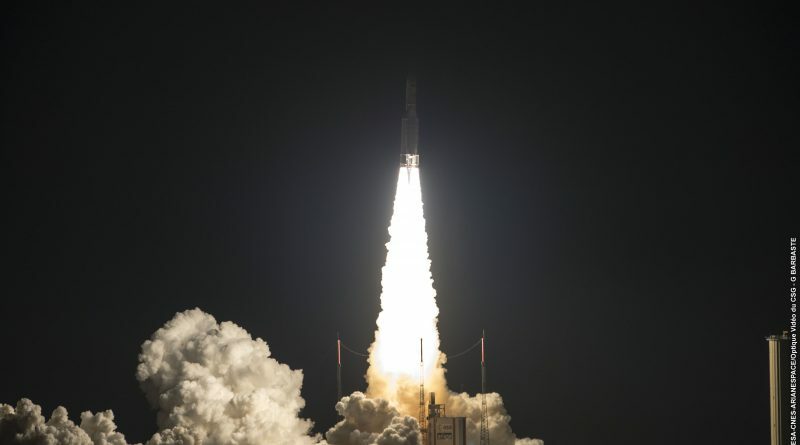 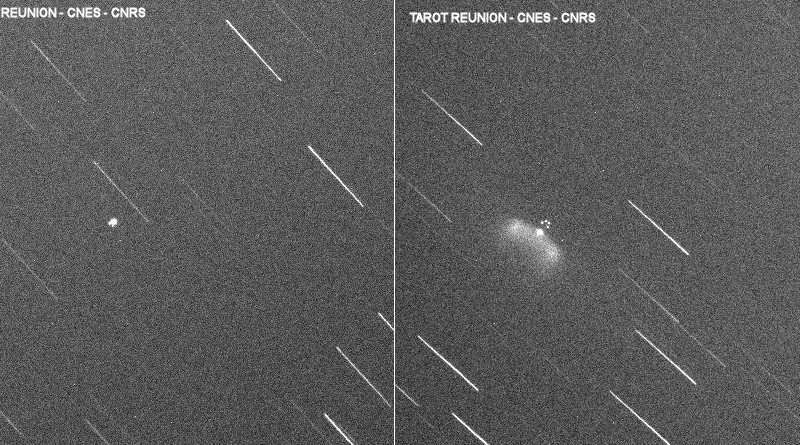 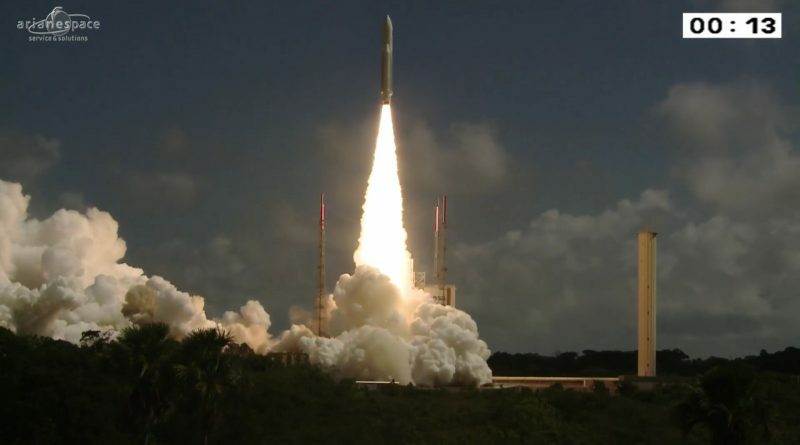 Unique photos captured last week’s Ariane 5 launch with a quadruplet of Galileo navigation satellites but observers also had eyes high in the sky to capture equally tantalizing views of the four satellites arriving at their orbit destination nearly 23,000 Kilometers above the Earth. 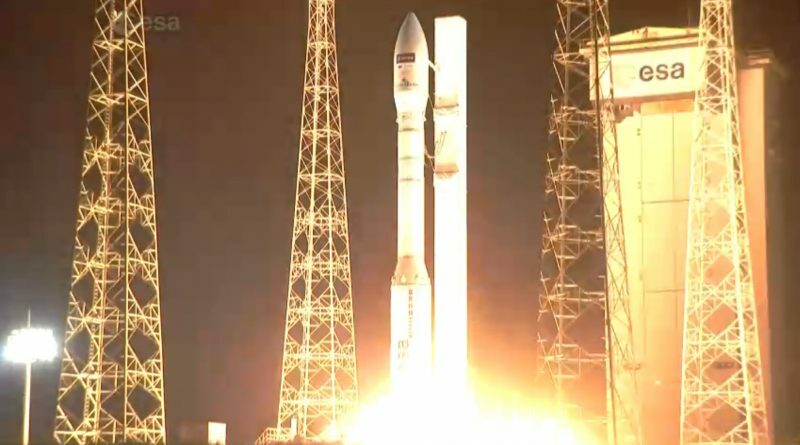 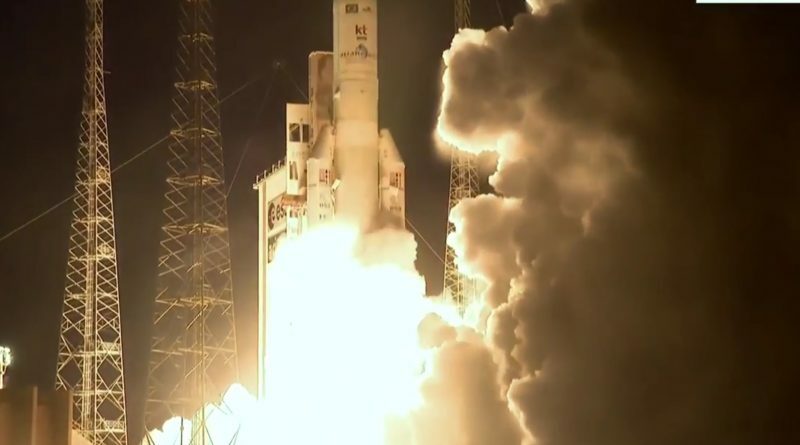 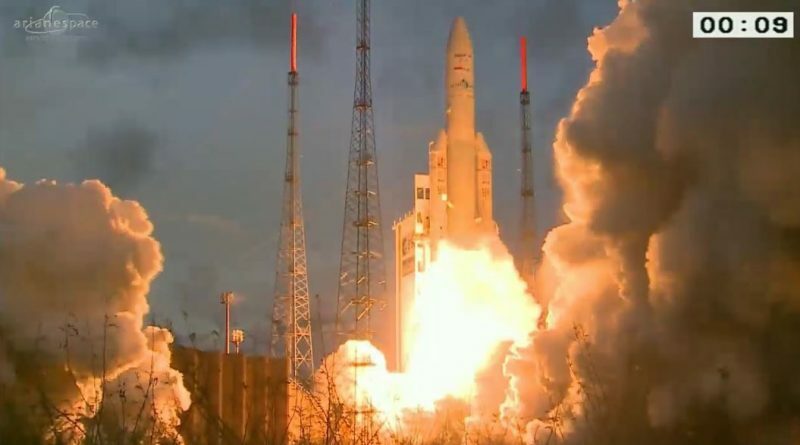 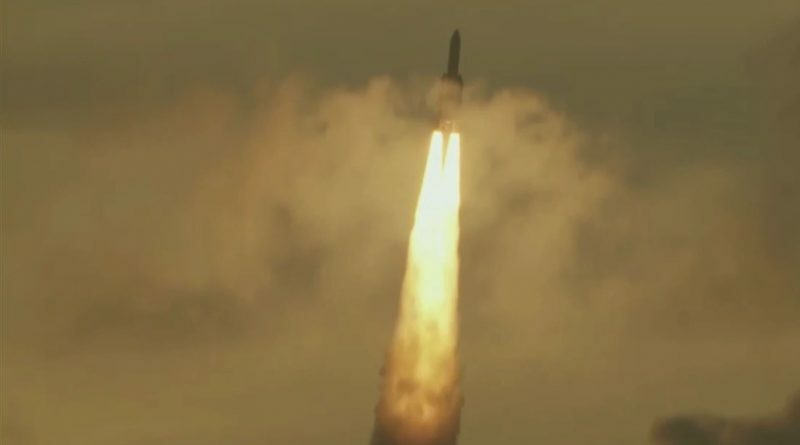 Europe’s Ariane 5 rocket jumped off its French Guiana Launch Pad on Saturday, under the loud-thunder of its cryogenic main engine and twin solid rocket boosters to lift a pair of U.S.-made communications satellites into orbit to deliver TV and banking services to America and Indonesia. 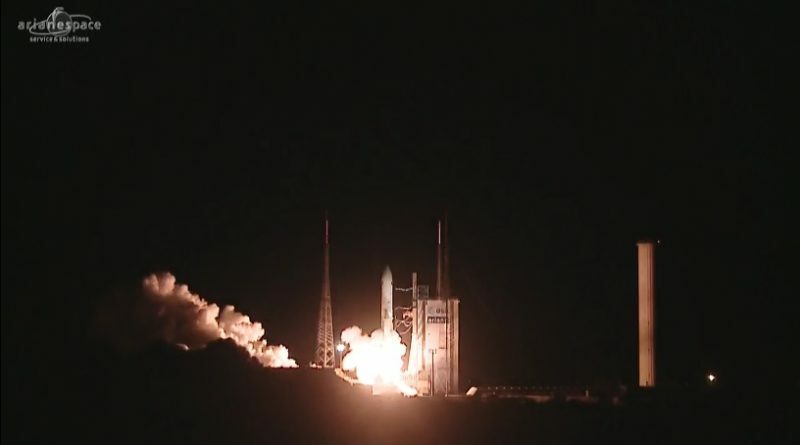 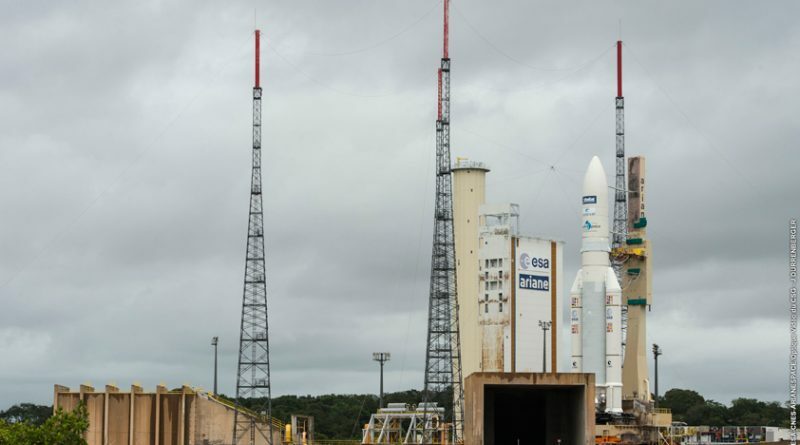 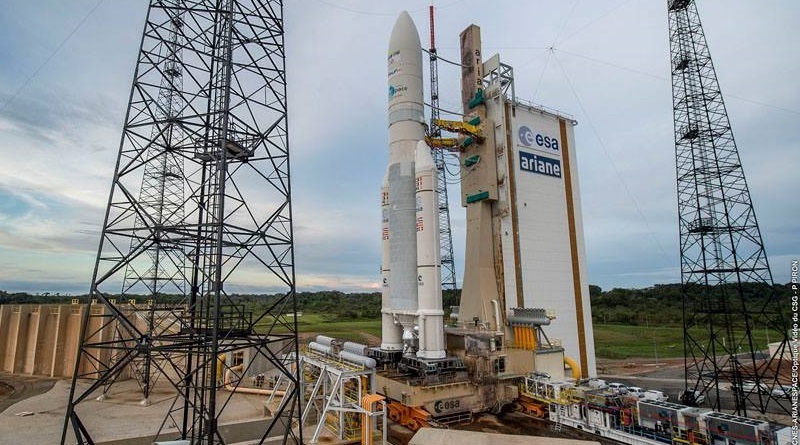 Arianespace had to scrub Friday’s planned Ariane 5 launch with pair of heavy communications satellites due to unfavorable Upper Level Winds. 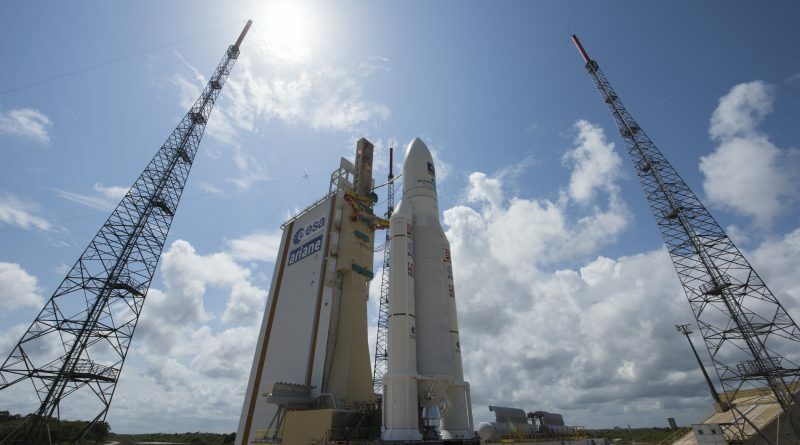 Pending progression of winds aloft, Ariane 5 will try again on Saturday during a 70-minute window opening at 20:30 UTC. 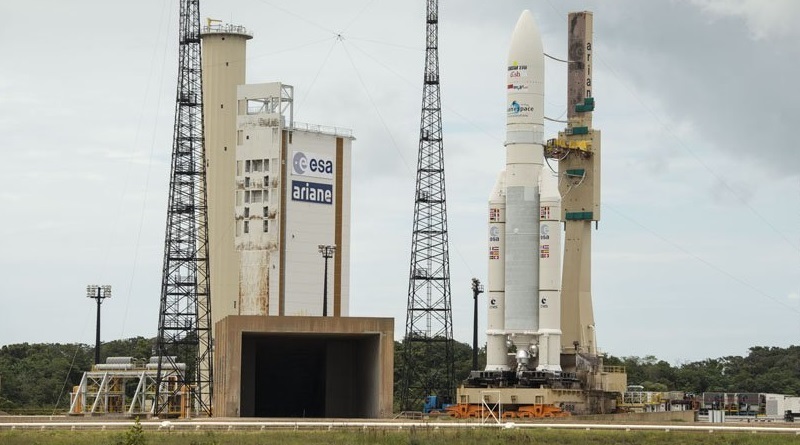 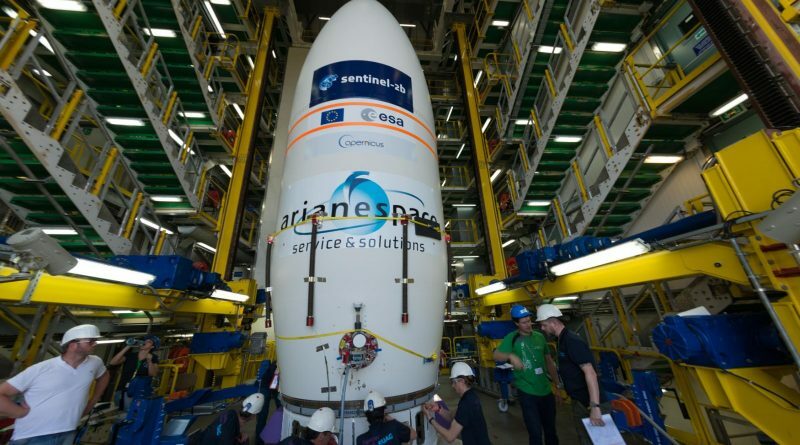 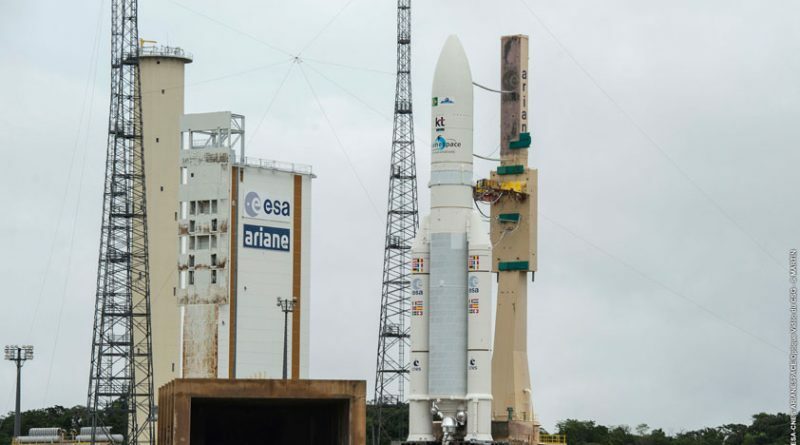 Europe’s Ariane 5 workhorse was moved to its French Guiana launch pad on Thursday to set the stage for liftoff during a 70-minute launch window opening at 20:30 UTC on Friday.